Best Toyota Dealer Stouffville | Stouffville Toyota ON. Whether you’re in the market for a new or used Toyota car, SUV, van or truck, Stouffville Toyota’s professional sales team is here to help. You can browse our new and used inventory, or book a test drive right on our website! Our dealership is conveniently located in the town of Whitchurch-Stouffville, near Markham Ontario. If you’re looking for professional and prompt Toyota service; come into Stouffville Toyota for a maintenance check, oil change or any other type of vehicle tune up. Our service technicians work diligently to keep your vehicle running in peak condition so you can enjoy it no matter the road or the weather. Book a Service Appointment online. Stouffville Toyota also has a wide variety of Toyota parts for your vehicle. If you’re interested in servicing your own car or truck, we have the Toyota parts you trust at prices you can appreciate. Find a Part online. We’ve built our dealership with green practices in mind (right from the ground up) and are thrilled to offer customers and the Stouffville community with a LEED – Certified building. Our modern dealership is complete with low flow plumbing fixtures, solar power generation, in-floor radiant heating and air quality systems. We’ve followed Toyota’s lead when it comes to helping the environment and are honoured to carry their award-winning Toyota cars including the Toyota Camry, Toyota Corolla, Toyota Matrix and eco-friendly Toyota Prius. 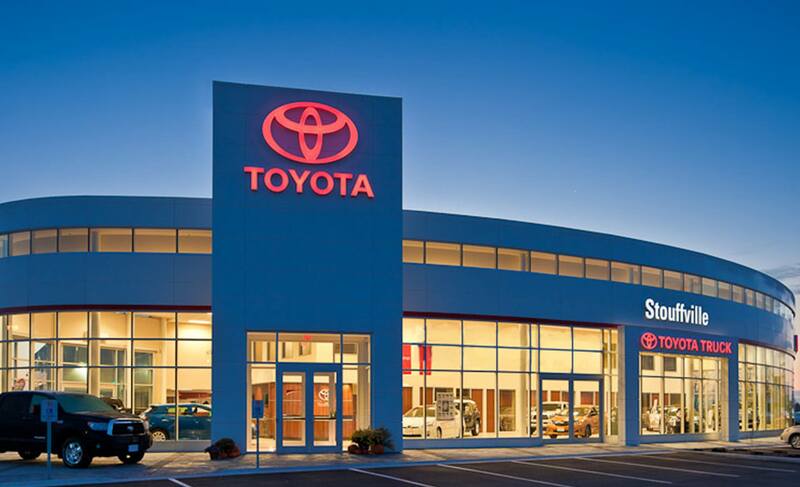 Stouffville Toyota is a featured Dealership in Toyota’s North American Environmental Report. Find out more here.